Celebrity Summit has relaunched following a multi-million pound transformation. Summit has been revamped as part of the line’s ‘Celebrity Revolution‘ programme, which sees their entire fleet modernised over the next few years to bring them in line with the award-winning Celebrity Edge. The extensive refurbishment includes redesigned staterooms and suites, the addition of the Retreat Sun Deck for suite guests, reimagined restaurants, bars and lounges, and a redesigned spa and casino. 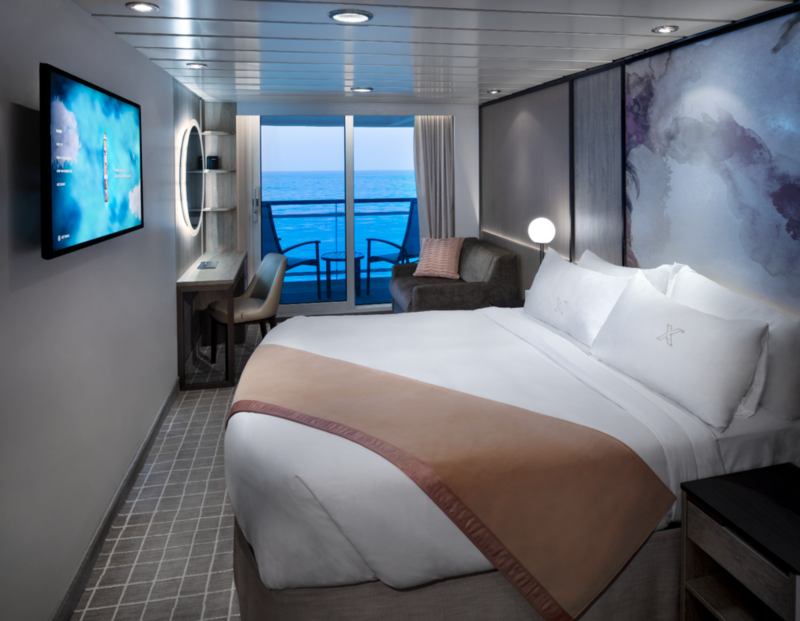 Celebrated interior design Kelly Hoppen MBE, who designed the new Celebrity Edge, was once again enlisted to put her signature contemporary spin on Celebrity Summit’s staterooms. Hoppen was also behind the design of the ship’s new Retreat Sundeck. Accessible to guests staying in the Sky Suites and above, the exclusive open-air area features cabanas, loungers and a hot tub. 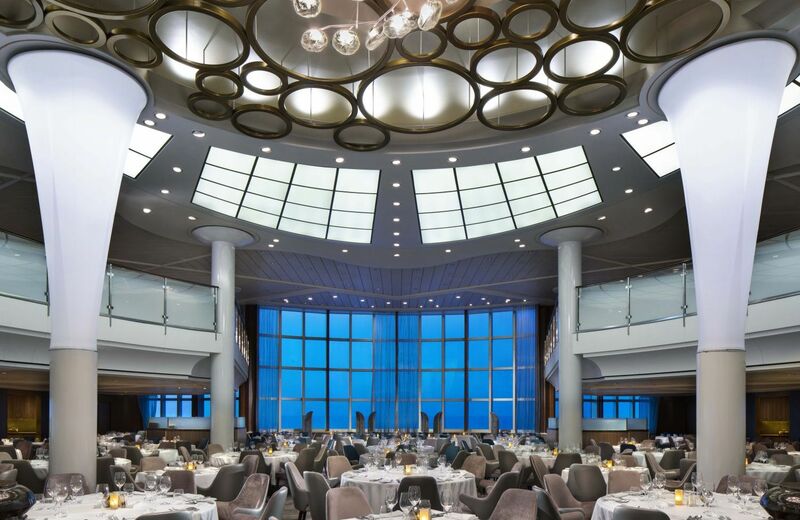 New York hospitality design firm BG Studio International (which has worked with Celebrity Cruises on multiple projects) were called upon to transform Celebrity Summit’s restaurants, lounges and cafes, including the main dining room, Sunset Bar and Rendezvous Lounge. Along with a more up-to-date design, cabins now incorporate technological features including USB ports, additional storage space and RFID door-entry technology. Guests can also take advantage of Xcelerate Wi-Fi wherever they are on board – so there’s no excuse for missing an Instagram opportunity. And there’s plenty of Insta-worthy sights on board, such as the renovated casino and wellness-focussed spa design. Celebrity Equinox is the next ship to be transformed and is scheduled to enter dry-dock in May 2019. As part of ‘The Celebrity Revolution’, six more ships are due to be modernised by 2023. To celebrate Celebrity Summit and her new look, the line is offering guests who book an eligible Ocean View stateroom or above by 3 April 2019 (on select Caribbean sailings) a special package which includes: a free classic drinks package for two worth more than £750, up to $500 to spend onboard per stateroom, free gratuities and 50% off the cruise fare for additional guests in the same stateroom.